The variably adjustable hole cutter is the solution for plasterers and installation companies. 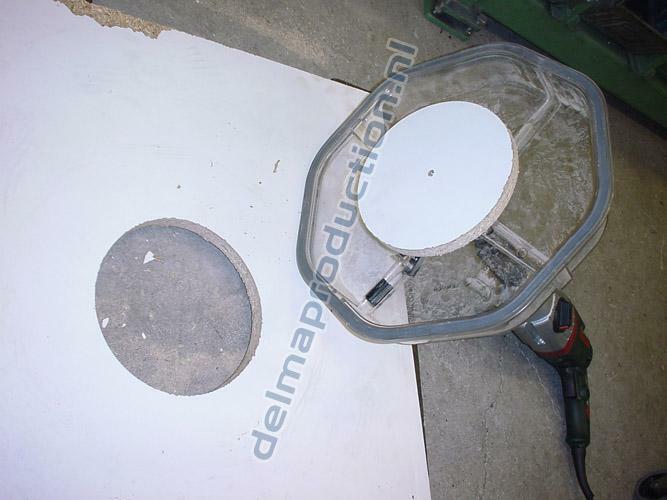 To saw different round holes for, for example, spotlights or drains used to require a hole saw for each diameter. With the variably adjustable hole cutter it is now possible to saw round holes from 30 - 300 mm. in no-time. The dust and waste that this produced is entirely collected in the fully closed plastic protective cover, which also protects the fitter from the cutting knife. Irritating dust particles in the eyes are now a thing of the past. The protective cover ensures that the cutting knife is positioned perpendicularly on the material to be cut, so that it can cut evenly and continuously. In order to be able to set the desired diameter rapidly, the cutting knife holder is fitted with a measuring rod. 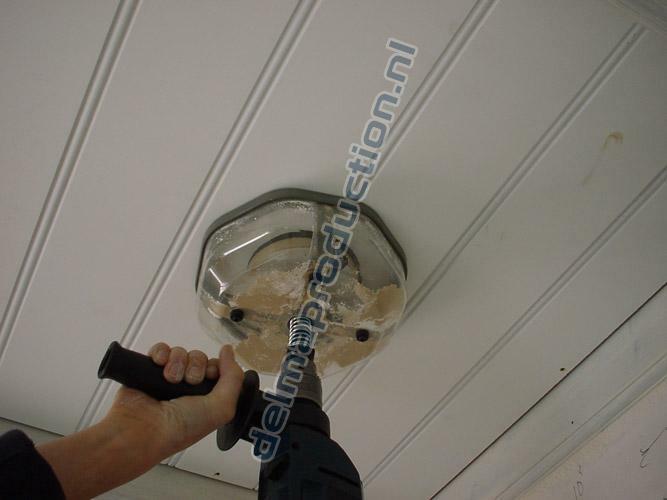 Suitable for ceilings, wooden floors, fermacell plates, plaster or plastic slabs, etc. up to 23 mm thick, or 46 mm. from two sites. Aluminium, Copper, Sinc, Steel etc. up to 1 mm thickness. Equipped with an impact-resistant and clear polycarbonate dustcollector. For round holes from 30 to 300 mm depending on the type of cutter. The cutting knife can be changed simply and easily. 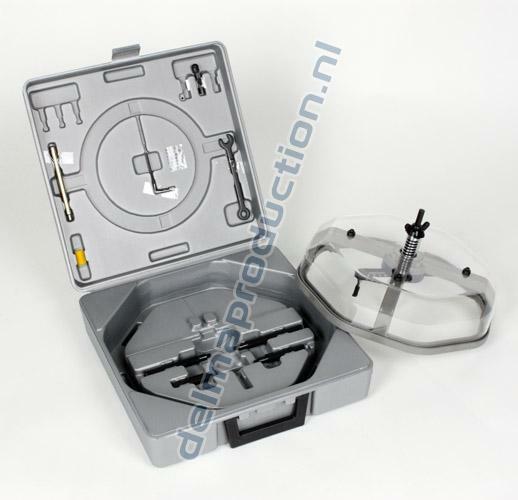 The hole cutter comes complete with cutting knives and equipment in a handy plastic case.